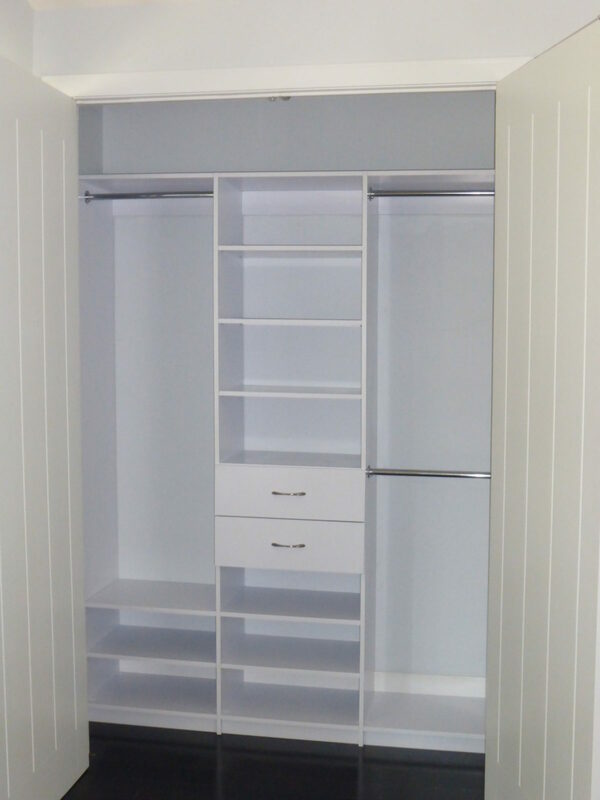 Komandor has many closet system solutions to suit your needs. 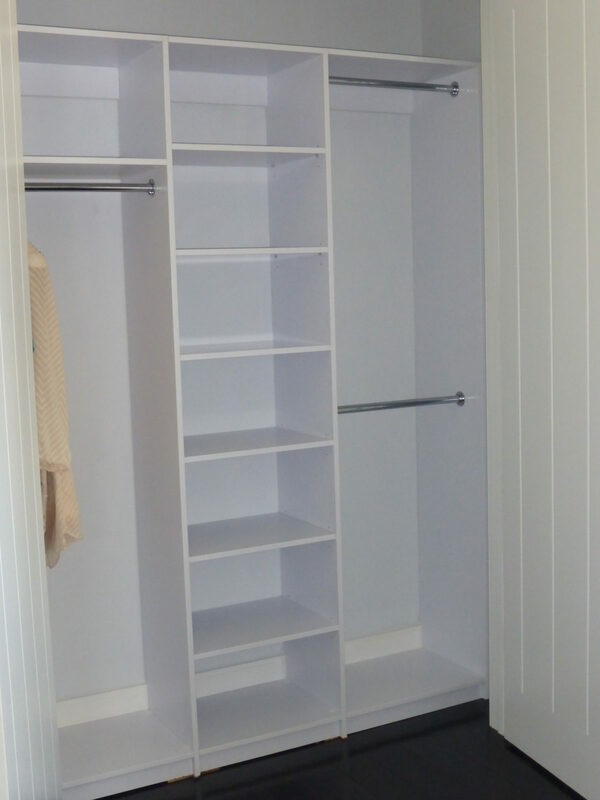 From built-in wardrobes to the innovative create-a-closet. Komandor is the leader in the custom closet industry. 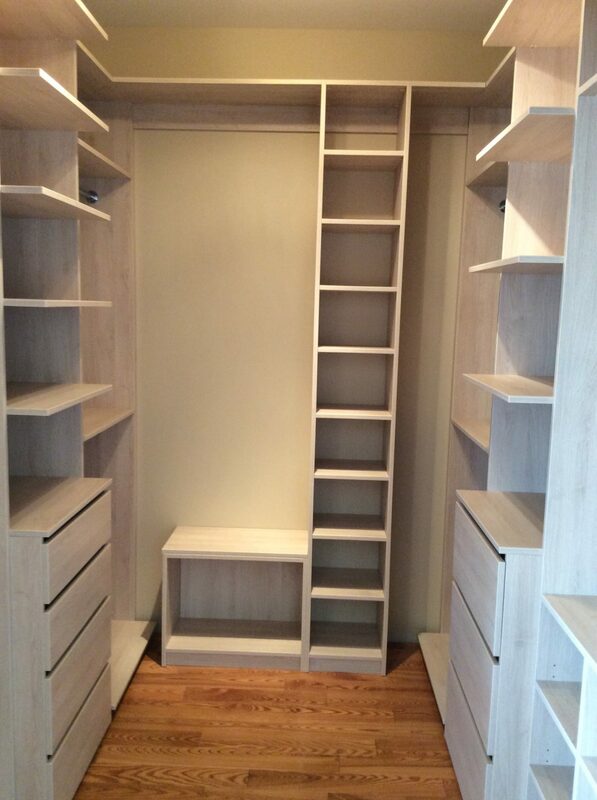 Our years of experience have led us to develop some of the most innovative closet systems. So you can rest assured, no matter your home or condominium's size, Komandor has the right solution to enhance your living space. 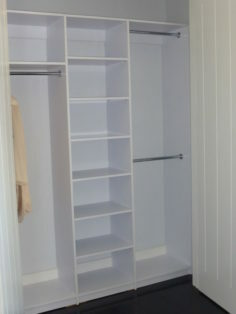 Komandor floor based closet organizer systems rest the weight of the unit on the floor of your closet. A floor based system can be designed with a simple contemporary look or can have a traditional aesthetic with the addition of fluted moldings, crown moldings and cabinet doors. 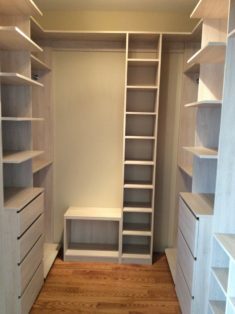 Komandor custom floor based systems are designed to your closet’s exact measurements and each closet section can be virtually any height, width or depth you choose. Backing, drawers, chrome baskets, laundry hampers, lighting and other accessories may also be added to give your closet a more personalized look. Floor based systems require a higher degree of installation skill to professionally install as walls, floors and ceilings are not always perfectly level and straight. 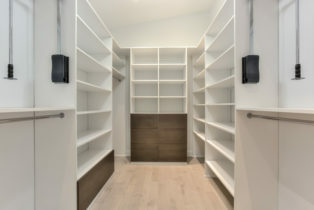 Additionally, floor based systems may require existing baseboards to be removed or cabinets notched in the back achieve a proper installation fit. Floor based systems can be more expensive than other systems as they use more material to construct and require more time to install, however they do provide a true custom built-in aesthetic that cannot be achieved otherwise. There are many upgrades available, from handles to accessories such as belt racks, tie racks, valet rods, chrome wire baskets etc.